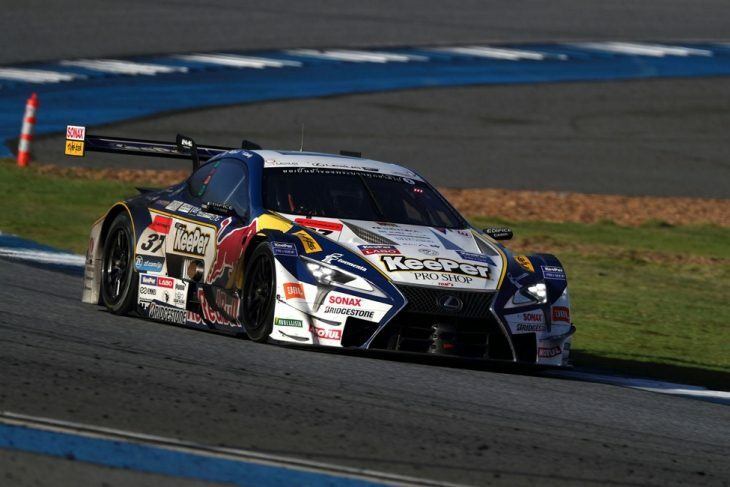 Motegi Preview: Who Will Claim Super GT’s Championships? The Autobacs Super GT Series has taken its fans both at home and around the world on an incredible journey in 2017. From the early-season dominance of the new Lexus LC500, to the resurgence of the Honda NSX-GTs, to the incredible battles in both GT500 and GT300 classes, this 2017 season has not disappointed. And at the end of this campaign, there is but one final battle to decide the series champions: The 250 kilometer season finale at Twin Ring Motegi in Tochigi Prefecture, Japan, the Motegi GT Grand Final. 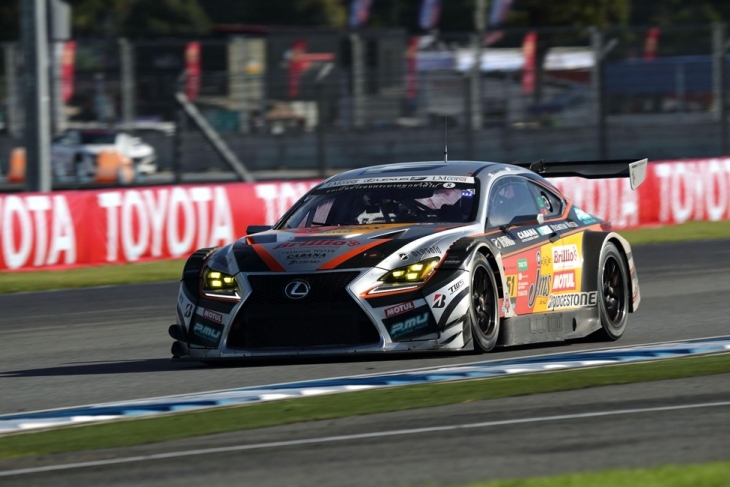 Last year, Motegi was host to the first double-header championship finale in Super GT history, and saw Lexus Team SARD win their first GT500 championship, while in GT300, Takeshi Tsuchiya ended his career in storybook fashion with his first championship title for VivaC Team Tsuchiya. This year, it is back to a single race weekend, but that hasn’t at all dampened the enthusiasm for Super GT’s annual season-ending trek to Motegi. 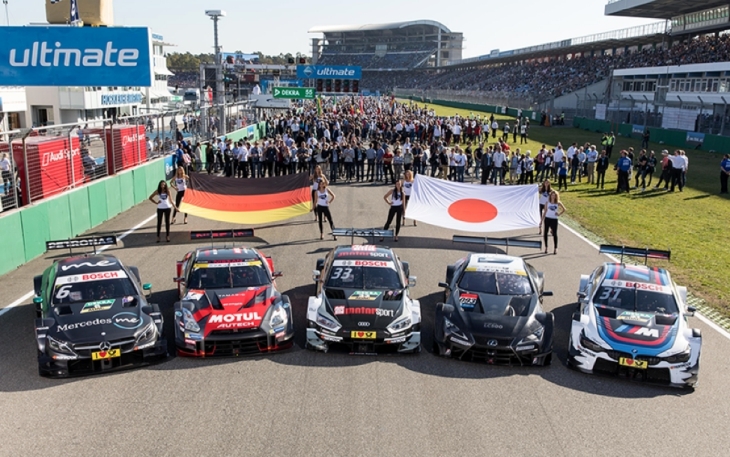 The special events during the weekend will, of course, be headlined by the appearance of DTM challengers from Audi, BMW, and Mercedes-AMG doing their show run for the fans in Japan, just as Lexus and Nissan did at the DTM finale at Hockenheimring in October. Notably, former GT500 champion Loïc Duval will carry the banner for Audi, a homecoming of sorts for the 2013 Le Mans winner and WEC champion. 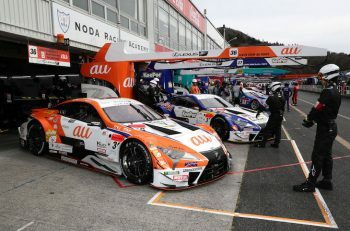 Super GT and DTM are now closer than ever to realizing the goal of a joint race under the unified Class One regulations – and seeing all six GT500 and DTM challengers on track together will be quite the sight in the exhibition runs on Saturday & Sunday morning. But the main event remains the 53-lap season finale around the technical and undulating 4.8 kilometer Motegi circuit, which is closing out its twentieth anniversary year, and remains to this day a marvel of modern circuit design. 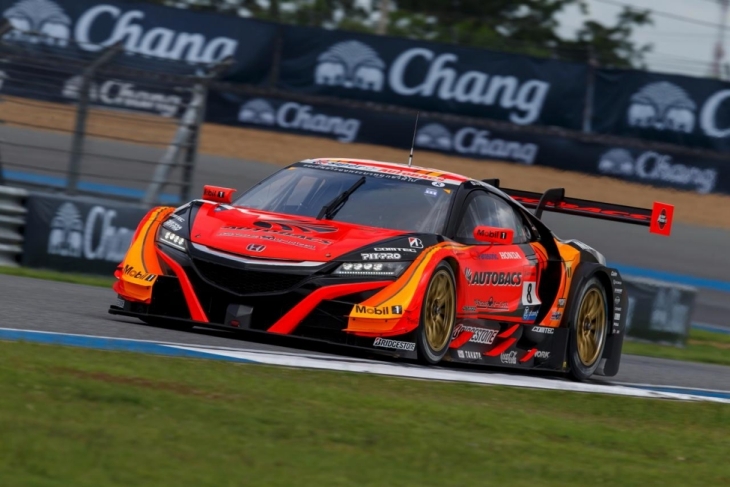 Five teams are still mathematically eligible for the championship in the premier GT500 class, while four teams still remain in the battle for the GT300 titles. Success Ballast will no longer be a factor in this final race, as has been the case since the finale moved to Motegi in 2009 – and rightfully so. To win the championship, it will all depend on the preparation of the teams, and the skill of the drivers. It may require a bold strategic decision from the pit wall, and a fortuitous overtake on a rival that could either end in instant jubilation or a humiliating exit. At the top of the standings, it’s a Lexus 1-2, led by the #37 KeePer TOM’s LC500 of Ryo Hirakawa & Nick Cassidy, with the #6 Wako’s 4CR LC500 of Kazuya Oshima & Andrea Caldarelli trailing by just six points, just as they finished in the last round at Buriram, Thailand. The second win of the season for the KeePer LC500 put Hirakawa & Cassidy back atop the championship table, where they’ve spent most of the season after starting the year with a victory at Okayama. All they need to do to win the championship is win or finish second, which would give TOM’s their fourth GT500 championship in total, and make their 23-year-old drivers the youngest-ever GT500 champions, surpassing the mark held by André Lotterer, when he won the 2006 title just days after his 25th birthday. Cassidy would become the first driver from New Zealand to become a Super GT champion, and Hirakawa would cement his place as Japan’s greatest young pilot, adding a GT500 crown to his previous conquests in Formula 3, Porsche Carrera Cup, and just last month, the LMP2 class of the European Le Mans Series with G-Drive Racing by DragonSpeed. Sitting just six points back is car number six – the Wako’s LC500 of Kazuya Oshima & Andrea Caldarelli, who once again have built a championship challenge on incredible consistency despite not having a win to their name. Their runner-up finish at Buriram was their 11th top-five finish since the start of 2016. 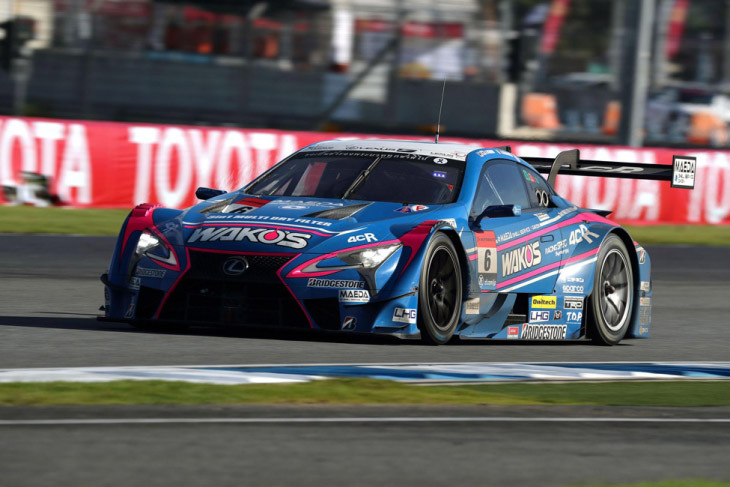 At stake is Lexus Team LeMans’ first championship since 2002, and the first drivers’ titles for both Oshima, a highly-rated former GT300 champion, and Caldarelli, who drove Lamborghini to the Blancpain GT Series championship a month ago. 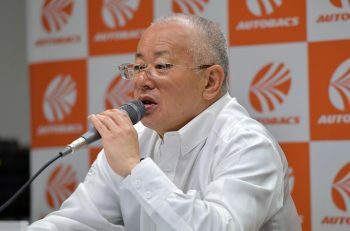 And for their charismatic team director Juichi Wakisaka, it would be his first championship as a team boss, having won three as a driver over his 18-year career. Lexus also have two other outside challengers, the #36 au TOM’s LC500 of James Rossiter & Kazuki Nakajima, and the #38 ZENT Cerumo LC500 of Yuji Tachikawa & newly-crowned Super Formula champion Hiroaki Ishiura. Rossiter trails by 16 points, and Tachikawa & Ishiura trail by 18, so this is a must-win race for both teams if they are to have any chance of overturning their respective margins and taking a shock championship win of their own. 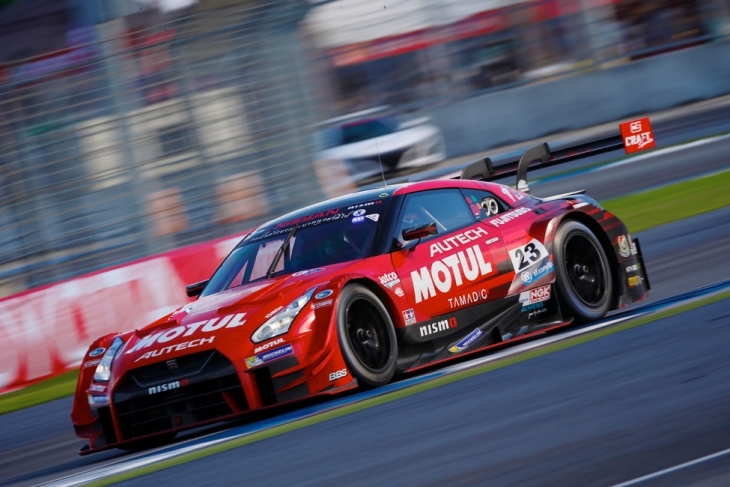 The lone challenger to the Lexus armada is the #23 Motul Autech Nissan GT-R of Tsugio Matsuda & Ronnie Quintarelli, who are eight points out of the lead following a difficult race in Thailand. If they win the championship today, it would only cement this NISMO team as the greatest Super GT squad of all time – the ninth drivers’ title for the team since 1993, a record fifth title for Quintarelli, and a third for Matsuda, putting him in elite company as only the sixth three-time GT500 champion in history. But it won’t be an easy task for NISMO. With early forecasts predicting temperatures around 15°C, much of the focus will be on how Michelin have prepared for what will be the coldest race of the year – as their tyres have lacked pace in chillier conditions. There’s also a bit of personal pride on the line for Nissan, the only manufacturer yet to win a race all season. Should any of their four GT-Rs fail to take the chequered flag at Motegi, it will be only the second time that they’ve failed to win a race in a season, the last occasion coming in 2002. Speaking of manufacturer’s pride, Motegi is the second home court for Honda, in fact, Honda’s top motorsport research facility in Sakura City is just forty kilometers northwest of Twin Ring Motegi. And while none of their five NSX-GTs are in championship contention, they still have a fair chance to close out their 2017 season with a win. Honda have nine wins at Motegi since the inaugural championship round in 1998, but are winless here since 2009. In the GT300 class, four teams remain mathematically eligible, two main challengers and two distant outsiders. The focus will be on two-time former champions Goodsmile Racing with Team UKYO, and the upstart LM Corsa team, separated by just nine points. GSR won their two previous championships, in 2011 and 2014, at Motegi, where they have finished in the top four in six of their seven races since 2011, including a race win and three more podiums. 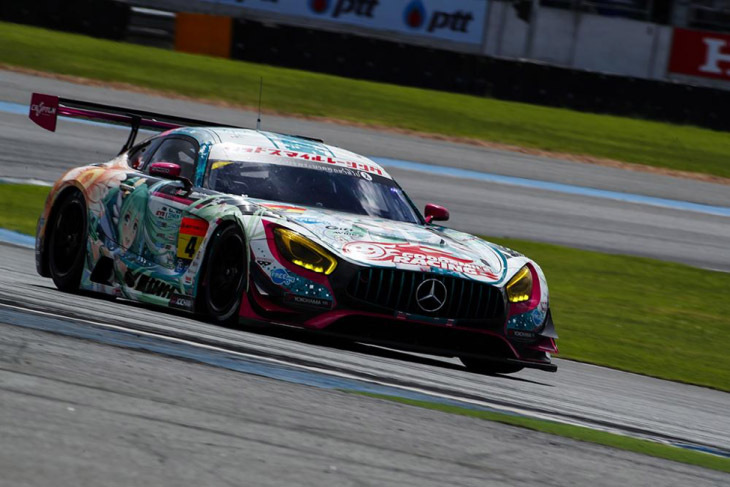 With their prior track record at Motegi and their exceptional form throughout 2017, Nobuteru Taniguchi & Tatsuya Kataoka are the odds-on favourites to wrap up their record-tying third GT300 drivers’ championships, as well as the first Super GT title of any kind for Mercedes. Much like the KeePer TOM’s squad in GT500, the Miku AMG can clinch the championship with a win or a second place finish. In their way are the young upstarts in the #51 JMS P.MU LM Corsa Lexus RC F GT3, Yuichi Nakayama & Sho Tsuboi. Their second win of the season in Buriram put them back within reach of the title. This is a preferred track for Nakayama, a championship runner-up in the last two seasons, and series rookie Tsuboi, who swept the Formula 3 weekend at Motegi earlier this year. Also in with a chance are the Suzuka 1000km-winning #65 LEON Cvstos AMG of Haruki Kurosawa & Naoya Gamou (-13 pts), and the #55 ARTA BMW M6 GT3 of Shinichi Takagi & Sean Walkinshaw (-19), who are both in “must-win” territory themselves and have a difficult task ahead of them if they’re to come back and win the GT300 championship. None of the JAF-GT/Mother Chassis cars are eligible for the championship, so for cars like the #25 VivaC Toyota 86 MC (Takamitsu Matsui/Kenta Yamashita), this race is all about personal pride, and gaining traction in preparation for a renewed challenge in 2018. All 45 cars and teams are back on the grid for this weekend’s final race of the season, which promises plenty of excitement with so much on the line. Who will win Super GT’s ultimate prizes?